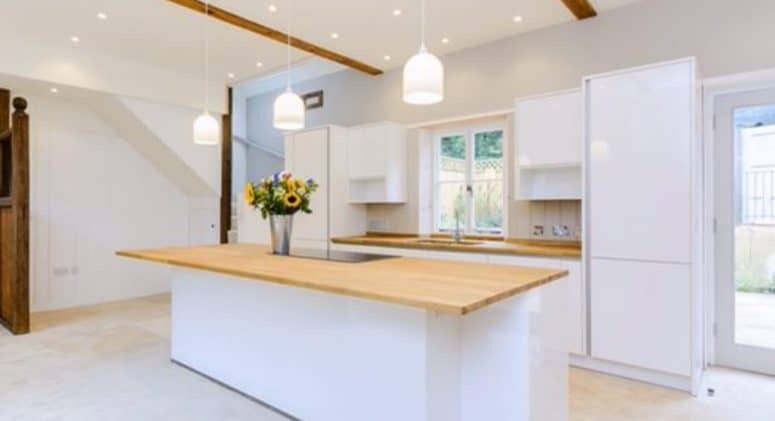 ​Our client wanted a very modern kitchen and utility room in their home, an old stable conversion. We designed both rooms to be simple and unfussy in order to work well with the original features of the property. In both rooms we used sleek looking Nolte Kitchen furniture with a high gloss finish. In the kitchen we installed the handleless option, whilst in the utility room we added handles. ​We designed the large island unit with a notch to allow seating on three sides. 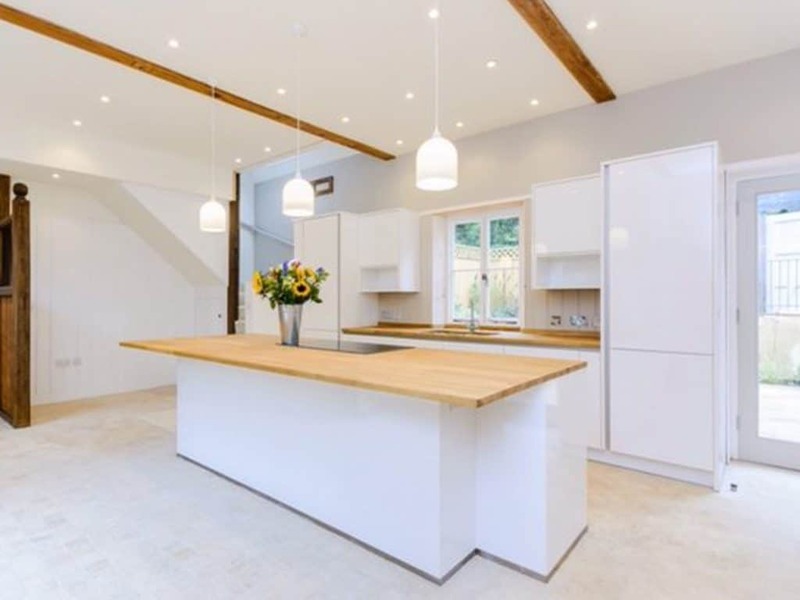 To complete the look, we fitted integrated appliances, mood lighting and oak worktops.